I'm a child of the 80s and Magnolia Ice Cream has been a huge part of my childhood. How can I ever forget the orange-flavored Twin Popsies I bought from Mang Mike, the Magnolia Ice Cream vendor in our school? Ah, those were the days when I can still enjoy all the sweets I want. 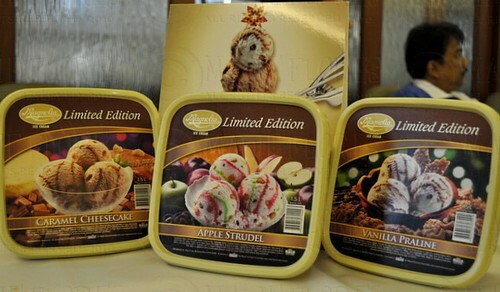 Just recently, Magnolia Ice Cream has launched its 2010 Christmas Limited Edition flavors. These three flavors will only be available from November 15, 2010 until February 2011 in supermarkets, Monterey outlets nationwide, and selected Petron Treats and shops. 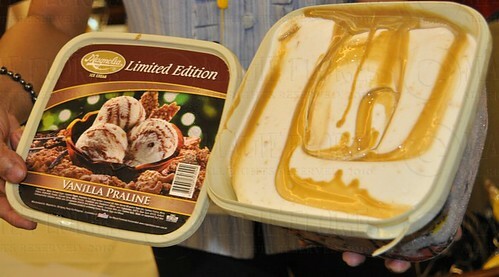 Vanilla Praline contains cashew praline with streaks of caramel ripple in a vanilla ice cream base. This is my husband's favorite because it isn't too sweet and the vanilla ice cream base is so milky. On the other hand, my boy loves the Caramel Cheesecake. He doesn't eat cheesecakes but he devoured the cheesecake bits that were in this caramel-streaked, caramel-flavored ice cream. Yep,if you're a die-hard caramel fan like my boy, this flavor's for you! And since I cannot eat too much ice cream unless I want blood sugar levels to rise, I just get to admire the pretty colors and the apple-cinnamon aroma of the Apple Strudel flavor. 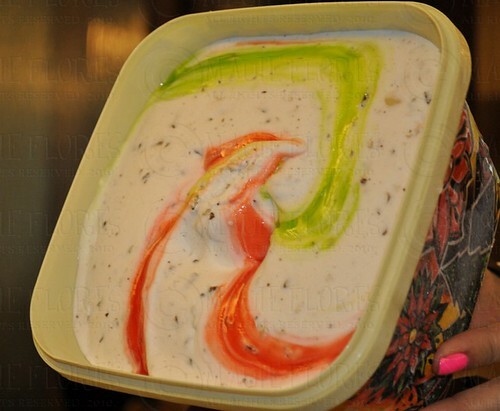 I'm going to buy tubs of this flavor for our family reunion on the 30th because the green and red apple ripple makes it so "Christmassy." I'm sure our relatives, both young and old, will love the apple cinnamon bits and crushed chocolate pretzels in this flavor. 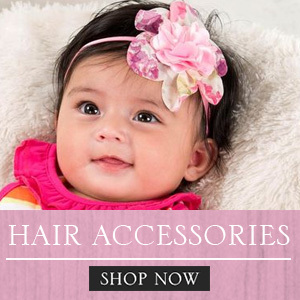 Enjoy while they're here! It's not only the flavors that you will love but also the reusable and microwaveable pretty plastic tubs that will sure be a hit among us moms. I already have so many plans in mind as to what I will do with the tubs, hehe! 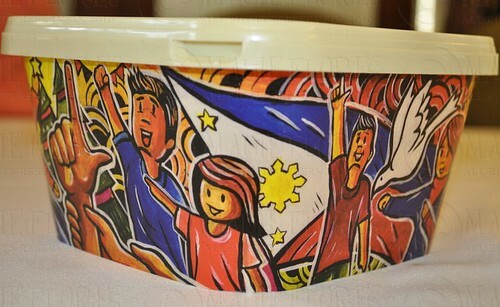 The design of the tub, which depicts P-Noy's "Tuwid na Daan," was the winning design in a contest sponsored by Magnolia Ice Cream. Don't you like how colorful it is? Incidentally, NomnomClub.com is holding a blog writing contest for this limited edition holiday treats. Check out the link to find out how you can win up to Php 2,000 worth of Magnolia Ice Cream GCs. Wow! 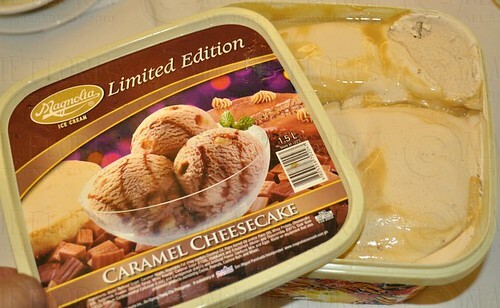 I'm an ice cream lover... And looking forward to splurge on caramel cheesecake this Holiday! Yum! Hi mauie! 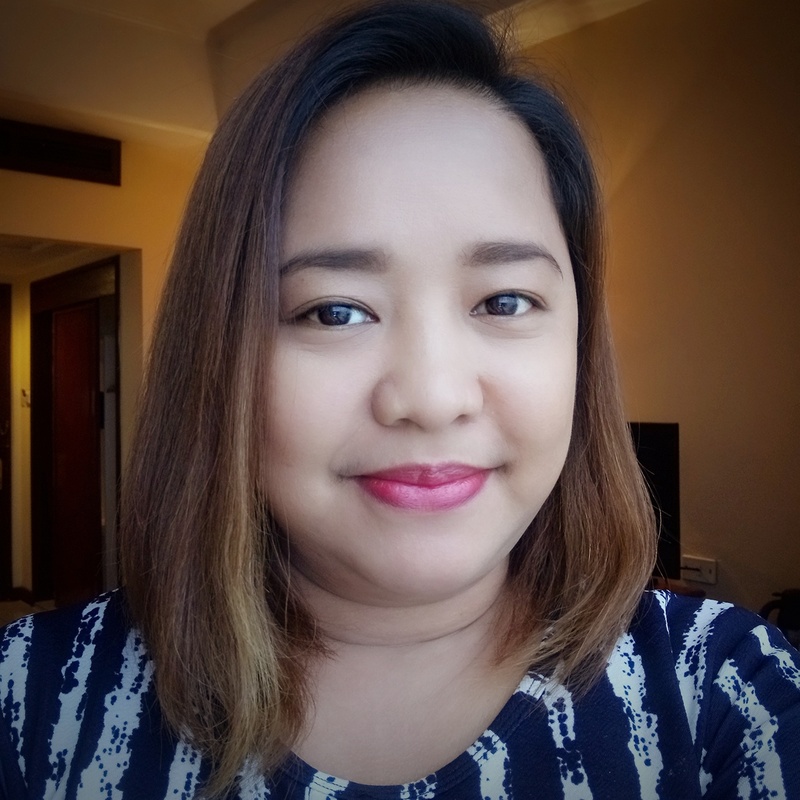 dun ka ba sa bloggers' event ng Magnolia? andun kasi ako e, di kita npansin dun, hiya din kasi ako e. anyway, sarap ng lahat ng flavors ng Magnolia Limited Edition Ice Cream no? 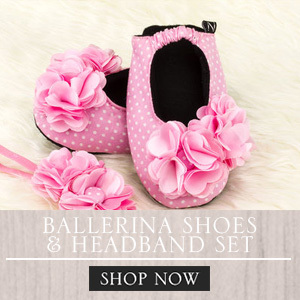 Fave ko lahat!! !